The term RELOCATION is as heavy and overwhelming as relocating the items, when on move. It’s never easy to do it at an individual level without the assistance of professional movers. If you are looking for a professionally well-equipped company to relocate your belongings then you can be delighted to know that Oz Removalists moving Company is exactly the company you are looking for. We understand your emotional bonding to your piano and take utmost care and precision while moving it to your desired location. And, when it comes to heavy items like your most valuable possession in terms of emotion and economically, PIANO, the risk factor increases as it is a very fragile musical instrument, making you more anxious and leaves you perplexed. One must carefully go through various pointers to make sure safe relocation of your musical instrument as it is very sophisticated and even the slightest damage can compromise not only for its musical quality but also for its royal beauty. Make sure you draw the movement map of the house on a sheet to understand the flow of the instrument without any hindrance. Any kind of impediment is definitely NO as it may cause a trip over. If you are staying in a duplex, it is advised to count on us as we specialize in this kind of movements and are well equipped with special ramps and specialized tools needed for the same. It will also help you a great deal as it is not only about the packing but also about the loading at your end and safe unloading, unpacking and placing at the right place at the destination point. The navigation map should not only be of your building but also from your building to the destination point. It will help in deciding the routes which have less traffic, fewer bumps and wider roads for smooth transportation of your possession. In case of small kids and pets, special care should be taken, like arranging for a babysitter or dropping the kids at your relatives, and pets should be in their kennel/cages so that no interruption or obstruction should be there. It’s best to opt for us as we are end to end Packer and Relocation Company and are professionals who have acquired skills of expertise in packing and have all the necessary tools and packing material just right for piano moving. We also can arrange for a piano trolley with industrial heavy load wheels, with a load capacity of 500Kgs+ as an ideal choice. Piano shifting can easily damage or leave unwanted marks on tiles and wooden floors. Covering the marked area with the thick blanket or protective plastic sheets would ensure ‘damage free’ movement. The metal castors are just the decorative piece and are not the functional type to carry the load of the piano safely. A slight change in temperature and humidity can fluctuate the sound quality of the piano. It is advised to go for weatherproof thick plastic wrapping along with thick bubble wrap. It is also the best option in case you have opted for an open moving vehicle. Though personally, an additional cover up on the top would be a plus in case of the rainy season. So be sure to get the best in packaging as well as vehicle during the transit from Oz Removalists moving company. In case of an Intercity transfer, all the requisite paperwork should be done well in advance, the piano should be individually labeled with from and to addresses duly filled in, the stamp duty(papers) to be ready in advance, as you will not want your fragile prized possession to be waiting on the roadside for clearance. Remove any loose parts and pack and label them separately. At Oz Removalists we make sure that the transition vehicle has hydraulic gears and lifts for safe and smooth loading and unloading. We at Oz Removalists are aware of the weight of the piano and arrange ample manpower on hand to handle the shifting process. 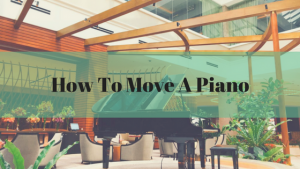 Look no further and call us now to book our services for moving your piano to the desired location. You can be sure of experiencing the exceptionally best.